New and improved puzzles for teaching and learning cooperation, communication, enhancing emotional intelligence (EQ) and improving employee performances. 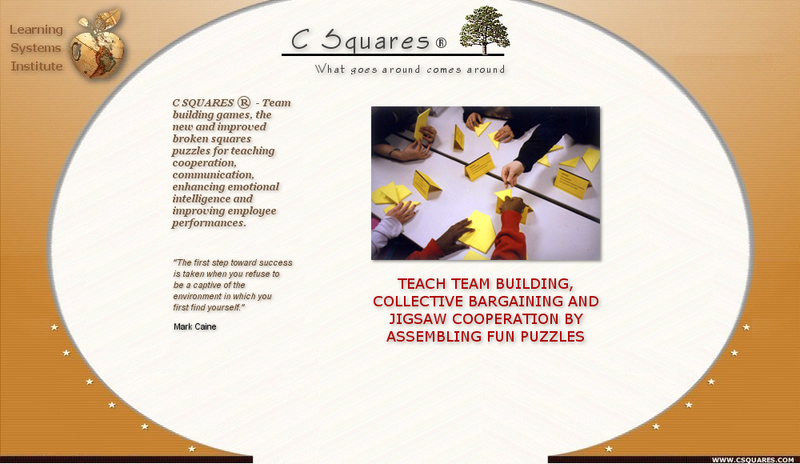 C Squares ® Team Building Training Kits are available in whole or in part at prices given. All fees subject to change and additional charges for shipping / handling. To order or for additional costs and descriptions, see below. 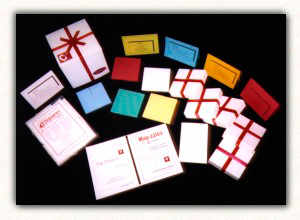 Includes: Facilitator's Handbook, 15 pieces (i.e., 5 squares), 5 red-ribboned gift boxes, matching tent cards with Rules and Task & Mission on opposite sides, Observer Guidelines, and either a plastic Docu-Case or choice of large Gift Box. 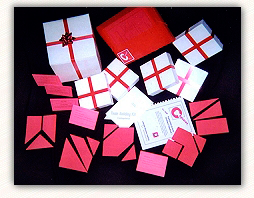 Includes: 5 squares, 5 boxes, 5 matching tents, 1 Observer Guide, 1 Manual per order (when purchased alone). Available in all 5 colors (Yellow, Red, Blue, Green, White) when purchased supplemental to Complete Training Kit. 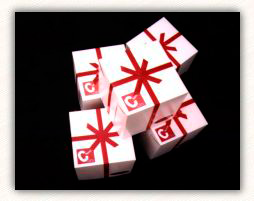 ~ Specify date of planned training event, allowing sufficient time for delivery. ~ Shipping charges apply most often to destinations within continental United States. ~ Always contact us prior to submitting payment for international shipping to avoid delay and possible confusion regarding postage, customs fees and handling costs. 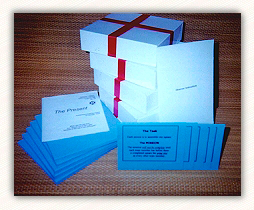 ~ Call for Pricing 516-931-2971 or contact Info@cooperationsquares.com to secure a date and time.